With Bell’s expanding its distribution, upstate New Yorkers won’t have to travel to Bell’s headquarters in Michigan for great beer. It’s been quite some time since Bell’s Brewery has brought its beer to a new state. That changes now as the brewery proudly announced that Bell’s beer will be available in western and upstate New York beginning Oct. 1. 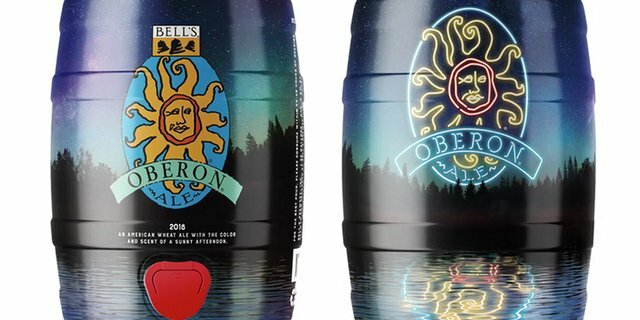 Bell’s tapped T.J. Sheehan, Tri-Valley Beverage and Craft Guild of New York to distribute its Two Hearted Ale, Amber Ale, Midwestern Pale Ale, Porter, Kalamazoo Stout and Oarsman Ale, along with its seasonal portfolio on draft and in bottles. “We are absolutely thrilled to come to the state of New York. We have been working on bringing our beer to this area for a long time, and we are truly excited to have a specific date to share and look forward to,” said Larry Bell, president and founder of Bell’s Brewery Inc.
To help connect its customers with its beer, Bell’s offers a Beer Finder feature on the Bell’s website to see which nearby bars, restaurants and retailers serve and sell its beer. With the addition of New York, Bell’s will be available in 19 states along with Puerto Rico and Washington, D.C.